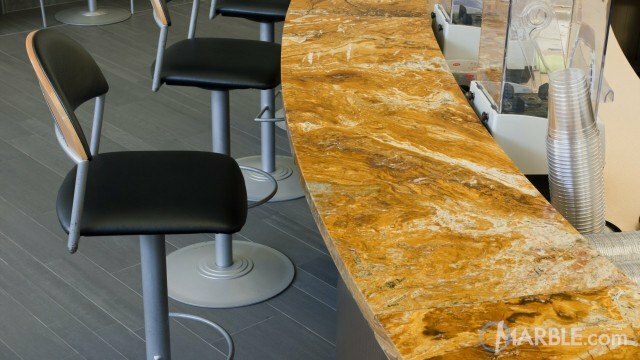 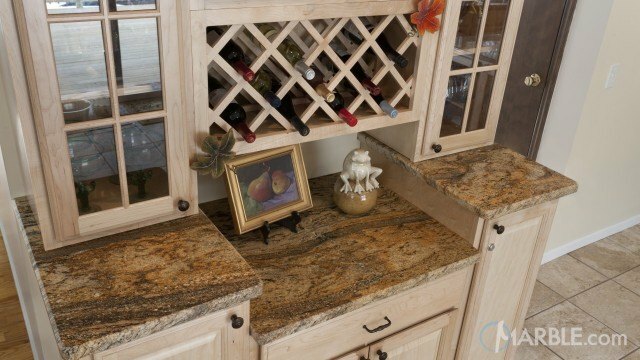 The dark wood on this wine bar really sets the River White granite apart. 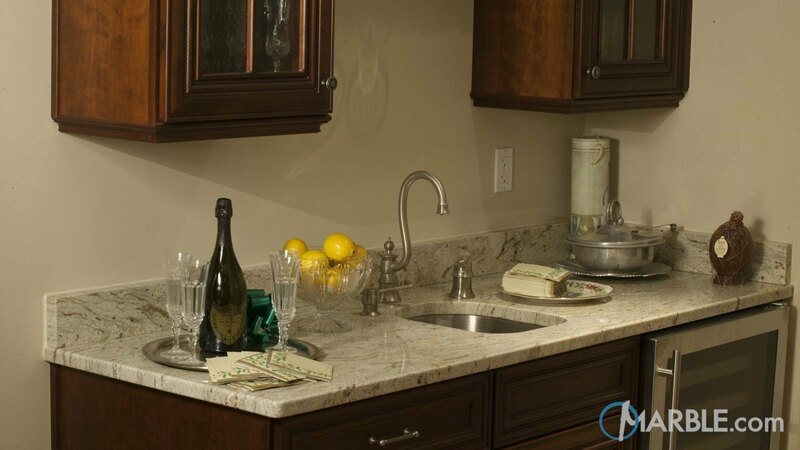 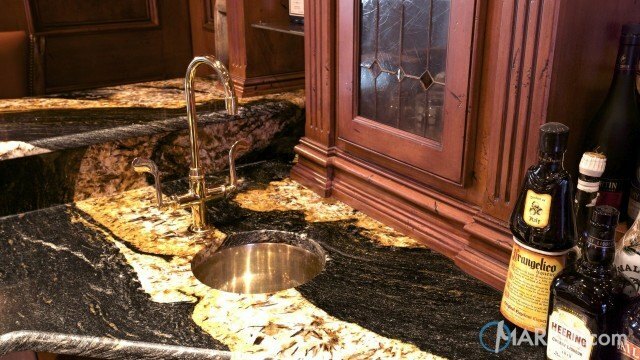 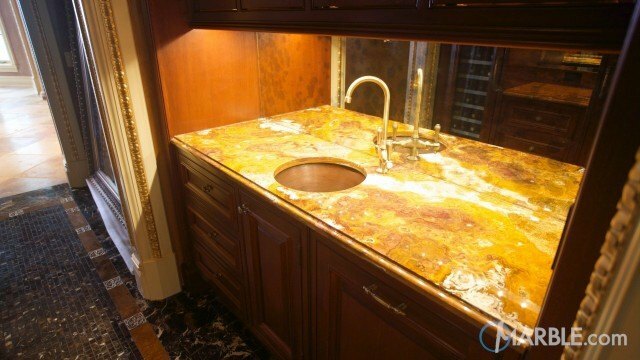 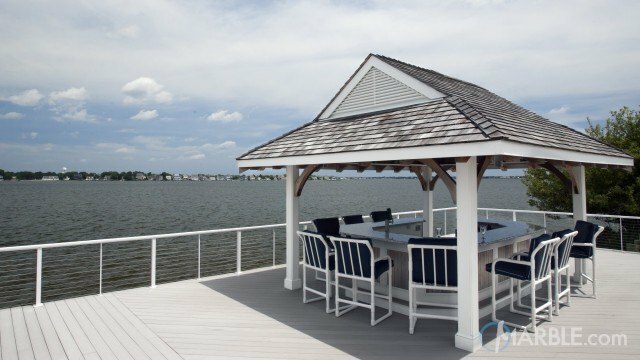 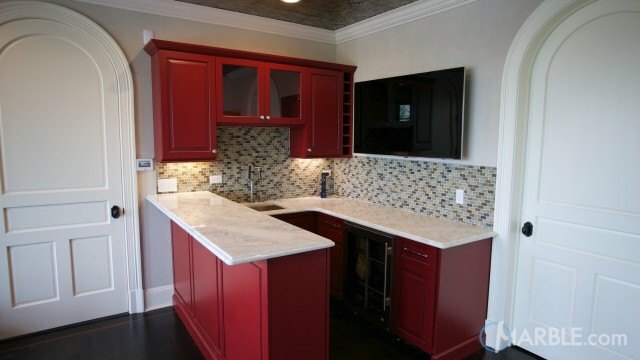 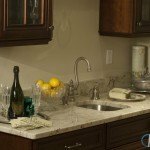 The wonderful contrast highlights the beige and white veins of the beautiful natural stone. 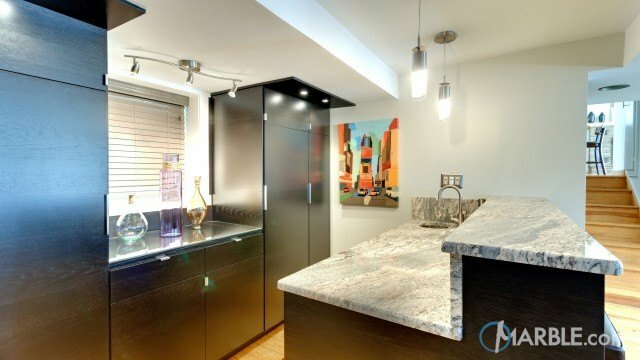 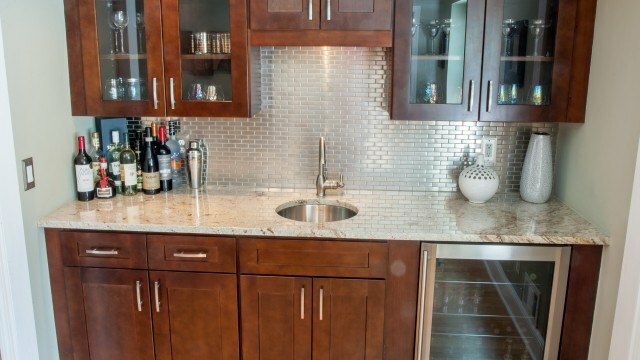 A stainless steel sink and wine refrigerator add a contemporary touch while glass front doors bring out the classic look. 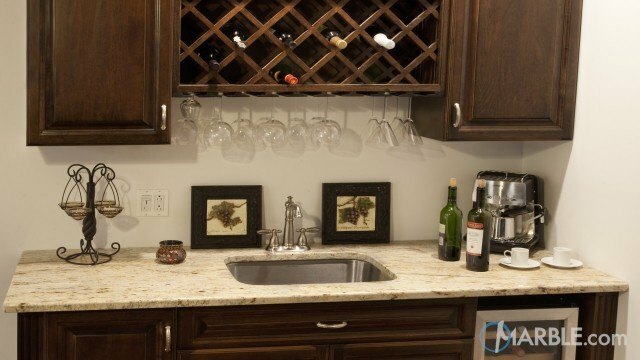 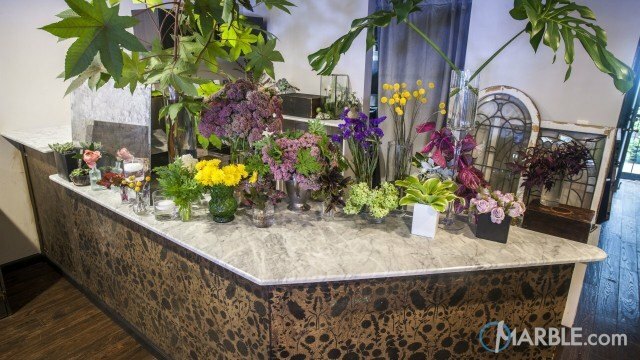 The neutral palette of this wine bar means it can be accented with any color for any occasion.